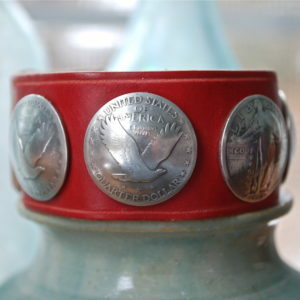 Cuff is 1.25 inches wide with mixed-origin world coins. Specify bronze, silver-tone, gold-tone, or mixed coins. 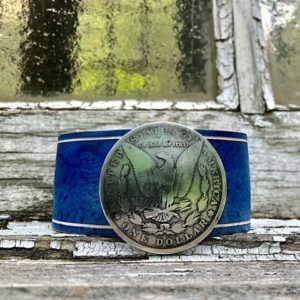 Cuff is 1.25 inches wide with two mixed-origin world coins. 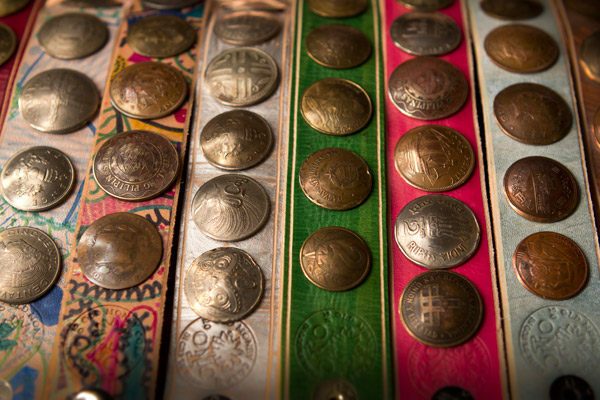 Specify bronze, silver-tone or gold-tone coins or mixed. 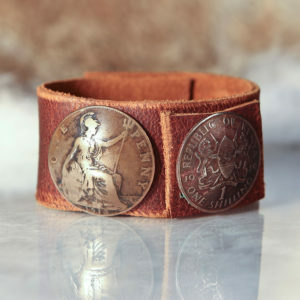 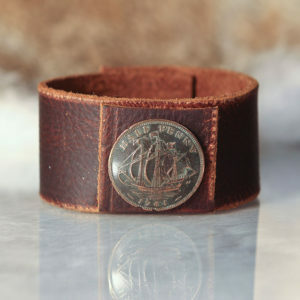 1.25-inch-wide, vintage brown leather cuff with a British halfpenny.